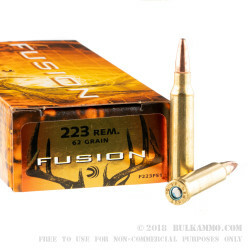 Federal Fusion ammunition is an evolution of the traditional soft point hunting bullet that delivers superior results for hunters without a corresponding increase in cost. 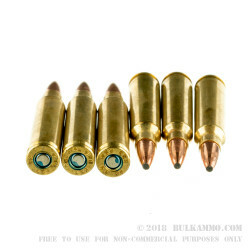 As the name suggests, Fusion bullets have a jacket that is tightly bonded to the core via a proprietary process that virtually eliminates the risk of core-jacket separation. 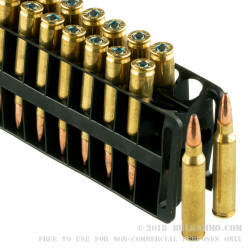 Each .223 Remington cartridge in this case of 200 fires a 62 grain soft point bullet at a muzzle velocity of 3,000 feet per second. This replicates the external ballistics of M855 ball (for easier sighting) but adds devastating terminal performance to boot. Fusion ammunition is loaded in Anoka, Minnesota by Federal, a division of the Vista Outdoor group. It uses non-corrosive primers and brass cases.